DEAR MAYO CLINIC: Is dry brushing effective for getting rid of cellulite? What about creams with caffeine? Is there anything else that works? I’m willing to try anything to make the cellulite on my thighs less noticeable, other than going under the knife. But I don’t want to waste money on things that don’t work. ANSWER: You’re smart to be wary about claims that certain creams or other products will get rid of cellulite. There’s no way to completely eliminate cellulite. Some treatments are available that may reduce its appearance, though. To achieve the best results, work with a reputable health care provider to decide which therapies may be right for you. Cellulite is lumpy, dimpled flesh that most often develops on the thighs, hips and buttocks. When skin is affected by cellulite, it’s sometimes referred to as having an orange peel or cottage cheese appearance. 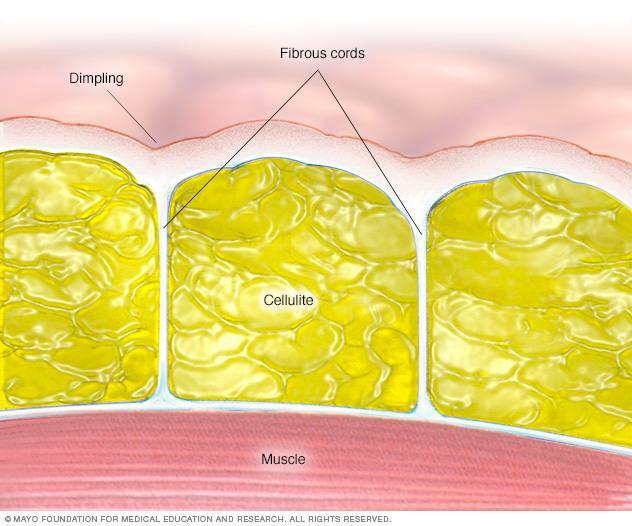 Cellulite forms just below the skin when fibrous connective cords that tether the skin to the underlying muscle break, stretch or pull down, while fat cells accumulate and push up against the skin. The reason some people develop cellulite and others do not isn’t clear. Women are much more likely than men to have cellulite, and it tends to run in families, so genetics may play a role. Cellulite is more common in people who are overweight and in older adults. Cellulite doesn’t pose any health risks, and it doesn’t need to be treated. But, if the appearance of cellulite bothers you, there are a few therapies that may help. A procedure that doesn’t involve surgery called cryolipolysis has been approved by the U.S. Food and Drug Administration to reduce the appearance of cellulite. It uses cold therapy to freeze the lipids in fat cells, causing the cells to die. Not everyone sees benefits from this treatment. In those who do, it usually requires several treatments, and it can take three to four months to receive the best results. Another nonsurgical approach to treating cellulite uses lasers and radiofrequency systems. These systems improve cellulite after a series of treatments. The results are not permanent, however, typically lasting no longer than about six months. New treatments involving lasers are being developed, and they may offer better long-term results. You mention that you don’t want to have surgery, but some people try liposuction to treat cellulite. During liposuction, a surgeon inserts a narrow tube under the skin and suctions out fat cells. Though liposuction can be used to shape the areas of the body affected by cellulite, liposuction won’t remove cellulite. And it needs to be used carefully in people who have cellulite because, in some cases, it may actually make the appearance of cellulite more noticeable. Laser-assisted liposuction — a newer form of treatment that destroys fat cells while tightening the skin — might be more effective for cellulite, but more study is needed. 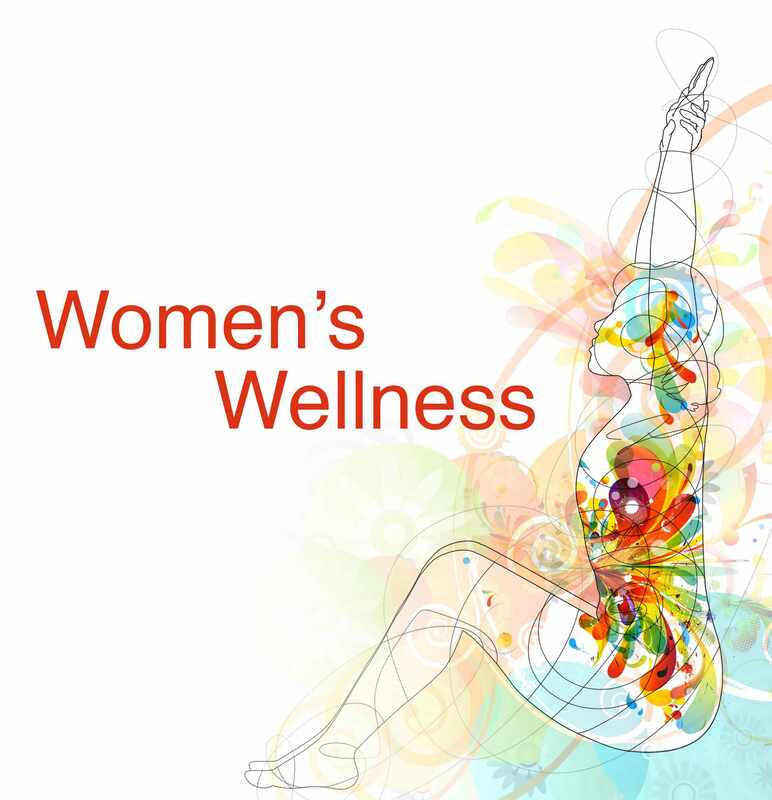 You can take some self-care steps that may make cellulite less noticeable. For example, weight loss and exercise keep your muscles toned and make dimpled skin less obvious. 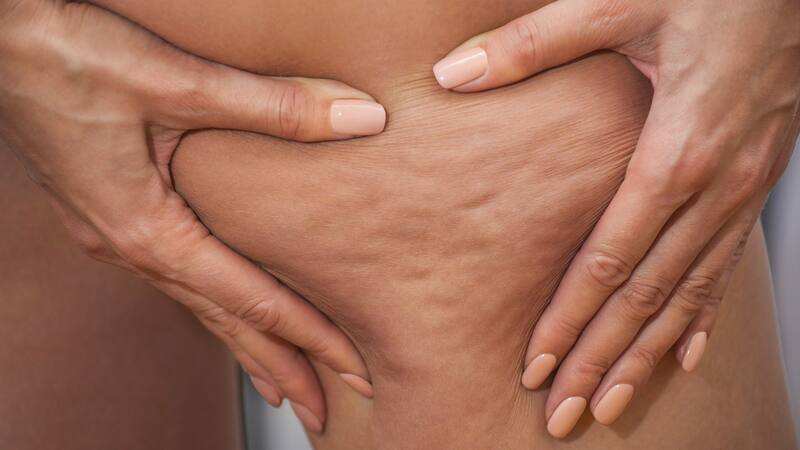 That said, if the skin is stretched, weakened or lays a particular way on the muscle after weight loss — including after bariatric surgery or delivery of a baby — the cellulite can be just as noticeable, which can be frustrating after working so hard to lose weight. Not smoking and eating a diet centered around fruits, vegetables, whole grains and fiber can improve the appearance of your skin overall. No over-the-counter remedy has been shown to be effective in treating cellulite. That includes creams marketed to cure cellulite that have ingredients such as caffeine, antioxidants and herbal supplements. You need to be cautious about using these creams, too, because they may contain products that could trigger a rash or other skin reaction. Dry brushing, massage and skin wraps don’t work as cellulite treatments either.